“Hello, I Love You” became the band’s second #1 hit when it topped the Billboard singles chart for two weeks beginning on August 3, 1968. Exactly 50 years later, a new 7” version of the single with its original b-side “Love Street” is available now. This anniversary release features the rare mono radio mixes of the songs that were given exclusively to radio stations for airplay in 1968. 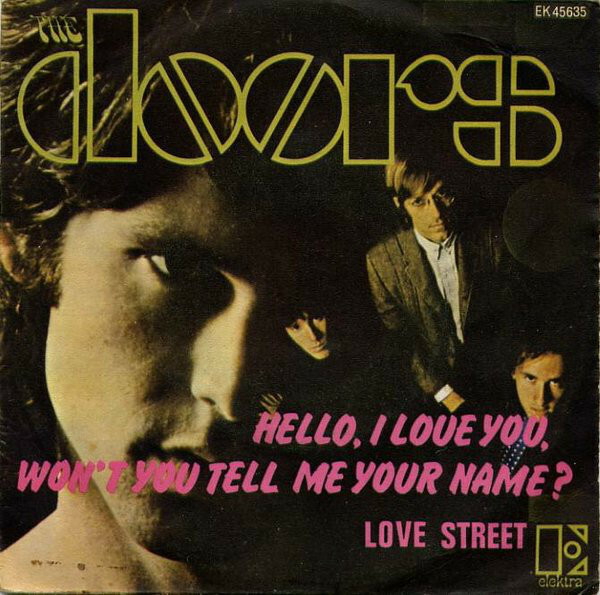 This version of “Hello, I Love You” was first available last year as part of The Singles collection and is making its vinyl debut here, while the “Love Street” mix is being released commercially for the first time. The 7” features a recreation of the unique black and white promotional label and is housed in its original Elektra Records paper sleeve.